So a little bit about tonight meal. Churrasco is a Portuguese term referring to beef or grilled meat served as a principle ingredient in Brazilian and other Latin American cuisines. 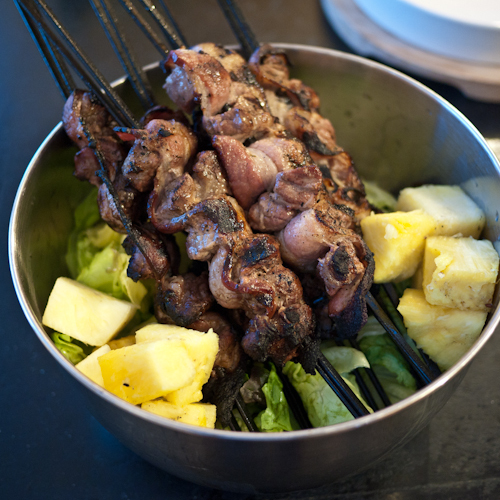 In Brazil though "Churrasqueira" requires a special BBQ grill that is designed to only support skewers or a spit. So sadly I had to substitute with just metal skewers on the grill. I didn't get to enjoy the skewers directly above the charcoal embers and that rich smoky taste. None the less it made for an enjoyable meal. 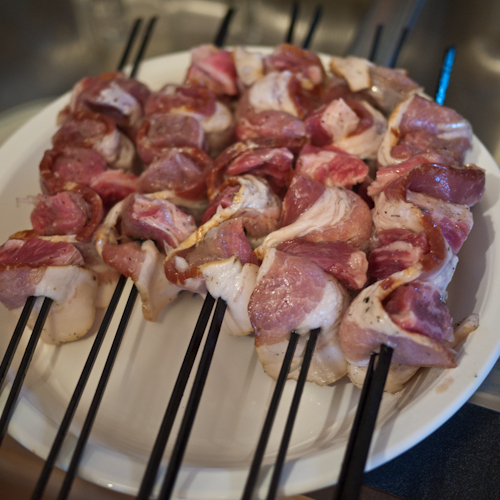 3) Take one skewer and place the bacon on the skewer weaving back and forth bacon, meat, bacon, meat, bacon, meat until the end of the strip of bacon. 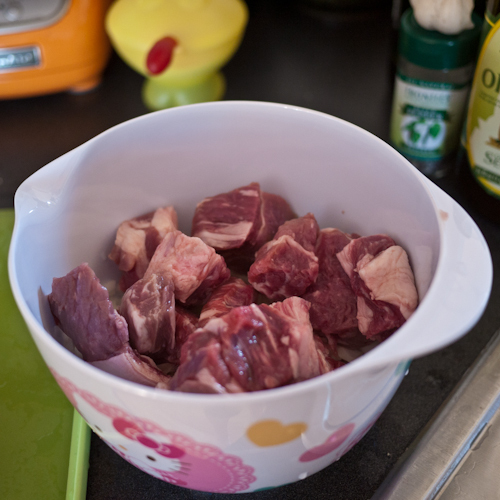 Repeat for the remaining of your ingredients. 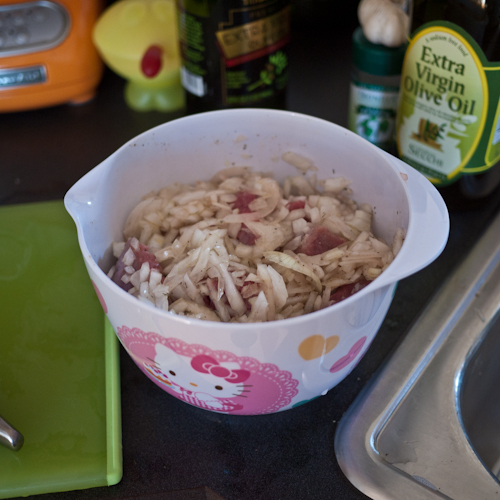 5) Wash and break up the salad and place in a metal bowl. 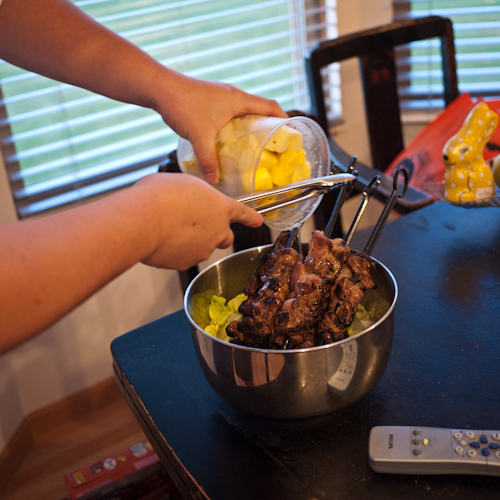 Pour the juice from a container of fresh cut pineapple over the grilled skewers and place half of the can of pineapple in the salad. Ready to serve. 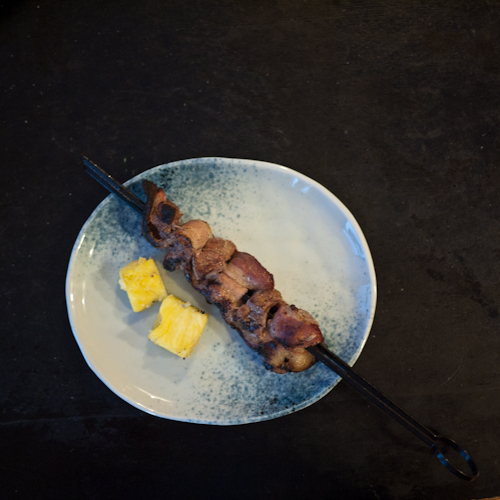 The wilted lettuce under the skewers that have the bacon grease is obviously the best part. Hope you enjoy today's entry in the World Cup of Food!! !